Abu Musab al Masri. Source: SITE Intelligence Group. An Egyptian jihadist who fought alongside al Qaeda in the Arabian Peninsula and its political front, Ansar al Sharia, was killed in a recent US drone strike in the southern Yemeni province of Shabwa. The Madad News Agency, a propaganda arm of al Qaeda in the Arabian Peninsula, announced the death of an Egyptian known as Abu Musab al Masri. The statement was published on Madad’s Facebook page and has been translated by the SITE Intelligence Group. The US is known to have conducted a drone strike on April 16 in the Karma area near Azzan in Shabwa province. Five AQAP fighters were reportedly killed in the strike, which targeted a convoy. The strike was one of two this month in Shabwa province in Azzan. The US also killed five Yemeni and three foreign Arab fighters in Azzan on on April 8. Madad said that al Masri had been detained by the Egyptian government for attempting to wage jihad against the US, but then had been released and subsequently “participated in the revolution to oust the tyrant [Eyptian President Hosni Mubarak].” Afterward he traveled to Yemen and fought “on the Zinjibar front.” AQAP seized control of Zinjibar in May 2011 and has held off three Yemeni Army divisions. Al Masri is the second foreign AQAP fighter identified as being killed this month. Bara’a Muhammad Salim al Sudani, a Sudanese citizen who was also known as Khallad al Farisi, was killed on April 11 during heavy fighting in the Yemeni city of Lawdar. Al Sudani had fought under al Qaeda military commander Abu Laith al Libi in Afghanistan and Pakistan. In recent months, a number of foreign fighters have reportedly been killed in Yemen. In fact, on April 11, the same day that Salim was killed, Yemeni officials claimed that “a number of al Qaeda leaders and militants, including Saudis, Somalis and Pakistanis were killed” during fighting in Lawdar. The US has stepped up the Predator and Reaper strikes in Yemen over the past two months. The US carried out at least six airstrikes against AQAP in Yemen in March, and has conducted another six strikes so far this month. There have been 13 strikes this year, compared to 10 for all of last year [see LWJ reports, AQAP commander thought killed in US drone strike, and Charting the data for US air strikes in Yemen, 2002 – 2012, for more information on the strikes]. Two senior AQAP operatives have been killed in the strikes this year. On Jan. 31, US drones killed Abdul Mun’im Salim al Fatahani near the city of Lawder in Abyan province. Fatahani was involved in the October 2000 suicide attack on the USS Cole in the port of Aden that killed 17 US sailors, as well as the bombing that damaged the Limburg oil tanker in 2002. AQAP said that Fatahani had fought in Iraq and Afghanistan. 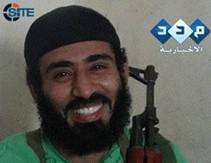 And on April 22, Mohammed Saeed al Umda (also known as Ghareeb al Taizi) was killed in a US drone strike in Marib. Al Umda had trained in al Qaeda’s Al Farouq camp in Afghanistan, participated in the bombing of the Limburg, escaped from a prison in Sana’a in 2006, and served as a military commander and propagandist for AQAP. Usual suspects and these countries are enemies of the West. USAF/CIA-Tracking down Terrorists wherever they may hide. Good shooting Lads. Keep it up!! I think there should be some covert ops to lure these jihadis from all over the ME / Maghreb to Yemen, seems to be relatively easy to pick them off there and at no risk to the U.S. The U.S. keeps swatting flies in Yemen. If AQAP manages to get one past the goalie like the attempted Christmas attack, the American people are going to ask why the Obama admin didn’t do more to stop a force of 1,000 plus terrorists, given the White House has had carte blanche authorities from the Yemeni govt to take full military action, short of an invasion. This is Afghanistan 2.0 unfolding right before our eyes.